10cc was always more than just a rock band, it was the creative centre of a mass of other groups, other stars and other hits. To tell the story would be to talk of Wayne Fontana and the Mindbenders, The Yardbirds, Hotlegs, Neil Sedaka, The Hollies, Herman’s Hermits, Led Zeppelin, Phil Collins, Billy Joel, Gotye and many others. It ran something like this . . . Manchester 1963 was buzzing. The Beatles ruled Liverpool but Manchester had its own talent on the go: The Sabres, The Whirlwinds and Jerry Lee and the Staggerlees. In each of those bands was a future member of 10cc. Eric Stewart had left Jerry Lee and the Staggerlees to join Wayne Fontana and the Mindbenders for a string of 1964 hits, while Lol Creme and Kevin Godley studied graphic art at college and played in bands at night. The Whirlwinds, with Graham Gouldman, had a brief deal with HMV. In February 1965, Gouldman convinced Godley to join him in The Mockingbirds who had a regular spot as the warm-up band for a new TV show, Top Of The Pops. Gouldman had kept on his day job at Bargains Unlimited, a Gents outfitters in Salford, and it was during this time that he wrote the No. 1 hit song “For Your Love” which we placed with the Yardbirds. In the meantime, having parted company with Wayne Fontana, Eric Stewart’s Mindbenders reached No. 2 with “A Groovy Kind of Love” in October 1965 – which Phil Collins took to No. 1 in 1988. Gouldman continued to write hits and worked with John Paul Jones (later of Led Zeppelin) on his album, The Graham Gouldman Thing, before joining The Mindbenders in March 1968, eight months prior to the group splitting up. Stewart and Gouldman then invested their royalties into their very own Strawberry Studios, Manchester, which was later used by Paul McCartney, Bay City Rollers, U2 and others. Godley and Creme were working as designers for Pan Books at that time but also secured a record deal under the name Frabjoy and Runcible Spoon and for their 1968 debut single, “I’m Beside Myself“, they brought in old mates Stewart and Gouldman thus making it the first time that all four members of 10cc were together on vinyl. Their next outing came in 1971 as Hotlegs, when, after selling 2 million copies of “Neanderthal Man” worldwide, they embarked on a short tour and returned to Strawberry Studios to help resuscitate the career of Neil Sedaka by working on his albums and singles. A year later in 1972 the band took a demo tape of a ’50’s pastiche, “Donna”, to Jonathan King who now owned U.K. Records. King signed them and named them 10cc after a dream he had where he saw the name on the hoarding of the Hammersmith Odeon. “Donna” hit No. 2 in the U.K. in Oct ’72, with a succession of hits like “Rubber Bullets” (No. 1 June ’73), “The Dean and I” (No. 10 Aug ’73), “Wall Street Shuffle” (No. 10 July ’74), “Silly Love” (No. 24 Nov ’74), “Life Is A Minestrone” (No.7 May ’75), “Im Not In Love“(No.1 Jun’75), “Art For Art Sake” (No. 5 Jan ’76), “Im Mandy Fly Me” (No.6 April’76). 10cc‘s albums were just as innovative and successful as their singles. “Sheet Music“, “The Original Soundtrack” and “How Dare You” were all Top 10 albums between 1973 and 1976. At this point Godley and Creme, keen to try their hand in other areas, left the band. 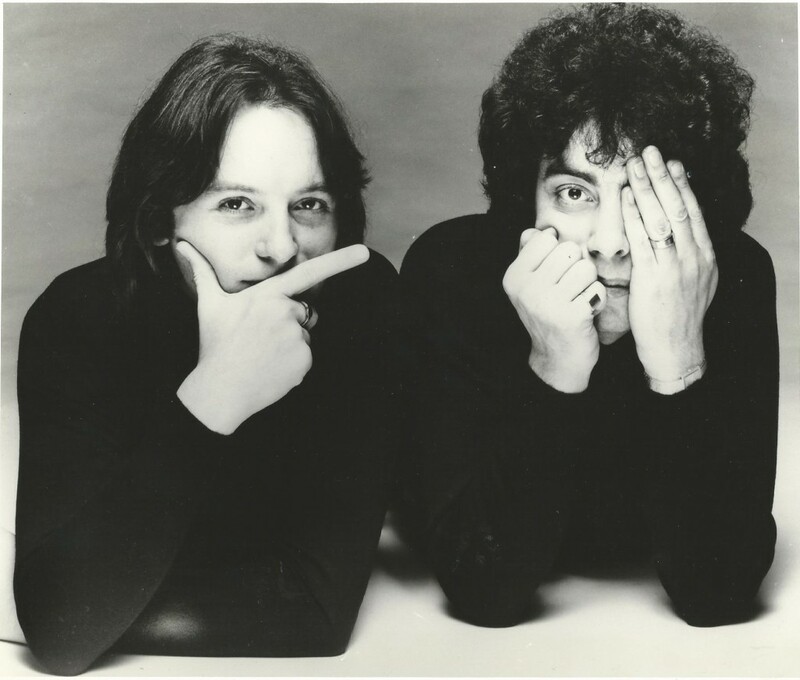 Gouldman and Stewart continued as 10cc and carried on the tradition of hits with “The Things We Do For Love” (No. 6 Jan ’77), “Good Morning Judge” (No. 5 May ’77) and “Dreadlock Holiday” (No. 1 Sept ’78), which was recently featured in the 2010 Mark Zuckerberg biopic, The Social Network. The ’80’s saw Eric Stewart working with Paul McCartney while Graham Gouldman wrote film music, produced an album for the Ramones and partnered Andrew Gold in the Wax duo. Wax’s “Bridge To Your Heart” reached No. 12 in August ”87. In other words, 10cc had begun to take a back seat. The “Changing Faces – The Very Best of 10cc and Godley & Creme” compilation went platinum and was the catalyst that led to the recording of their penultimate album, “Meanwhile“, which followed in May ’92 featuring all four of the original members of 10cc, as well as Mac ‘Dr. John’ Rebennack, the late Jeff Porcaro and David Paich. “Meanwhile” made an impact in Japan and Eric and Graham hit the road again to tour there. 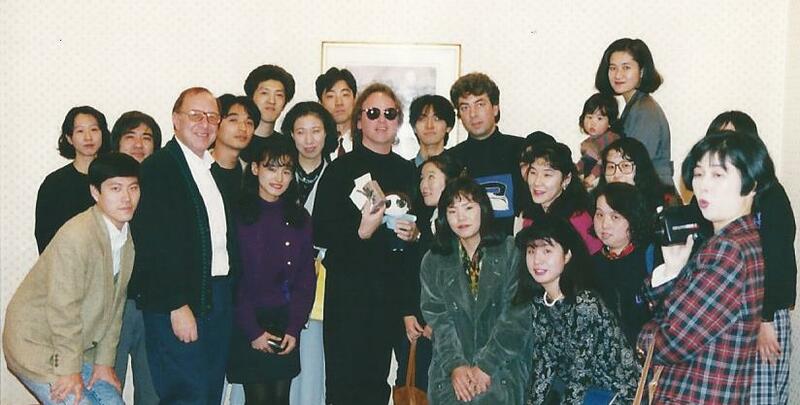 Their final album, “Mirror Mirror“, was commissioned in 1995 by Avex, the largest independent record label in Japan, which included co-writes from Sir Paul McCartney on “Yvonne’s The One” (Stewart/McCartney) and Sir Tim Rice on “The Monkey and the Onion” (Rice/Gouldman) and featured an acoustic rendition of their idiosyncratic 1975 smash hit “I’m Not In Love“. 10cc’s “I’m Not In Love” has been covered by many artistes and the band’s innovative production method was borrowed by legendary Phil Ramone for Billy Joel‘s first U.K. hit “Just The Way You Are“. Can you hear ‘I.N.I.L.‘ in “Somebody that I Used to Know” – a smash hit for Gotye and the U.K.’s best-selling single of 2012? 10cc was self-contained and called most of the shots from their own Strawberry Studios . The Studio was a legacy they left for other acts from the North of England to use to get their foot in the door too. Neil Sedaka, who had new-found success with “Amarillo” which I placed with Tony Christie. He finally agreed to my suggestion that he record at Strawberry Studios with assistance from Eric Stewart, Kevin Godley, Lol Creme and Graham Gouldman. He put down his comeback album Solitaire at Strawberry in ’71, and returned in ’73 for ‘The Tra-La Days are Over including “Love Will Keep Us Together“. This sowed the seeds of 10cc & put Strawberry Studios on the map. Joy Division, the cult Mancunian band recorded Unknown Pleasures there, and subverted Sedaka’s title in their “Love Will Tear Us Apart“. Paul McCartney, recorded with his brother Peter ‘Mike’ McCartney, known professionally as Mike McGear on his album, “Woman” in ’72. Bay City Rollers recorded most of their catalogue at Strawberry and “Give A Little Love” was a U.K. No. 1 for three weeks in July 1975. U2 on being signed by Nick Stewart at Island Records recorded their first single on the label ‘11 O’Clock Tick Tock‘ at Strawberry in 1980. The Stone Roses recorded the 1st single on Thin Line at Strawberry in session with Martin Hannett and also a raw “I Wanna Be Adored“. “Martin Hannett and Tony Wilson at Strawberry in July 1980“. The Smiths recorded their first single “Hand in Glove” at Strawberry Studios, which was released on the Rough Trade label in May 1983.